From the familiar and fantastic racing in Canada, Formula One now moves to a fresh entry on the 2014 calendar. The Austrian Grand Prix returns this year after last being held in 2003. The break has seen some changes, with new owners, a new name, and a new feel. Although not a brand new race, it will be an education for those who haven't seen any Austrian action before (like me), and will provide an element of the unknown for this first half of the season. With the championship very much up for grabs, and the proof that Mercedes aren't completely untouchable, this weekend should hold a lot of good things in store. Daniel Ricciardo took his maiden win in Montreal, but even he isn't under the impression that the Mercedes advantage has been quashed. The gap closed a little, perhaps, and visible proof that the Silver Arrows can have reliability issues just as anyone else can, but the smart money still has to be on Lewis Hamilton and Nico Rosberg fighting for victory at the Red Bull Ring. Behind the leaders, it was a surprise to find that the first major inter-team crash happened at Marussia - a team riding high from securing their first points. With Max Chilton and Jules Bianchi ending their Canadian race early, and in disgrace, there are penalty hangovers for this weekend. Chilton gets a grid drop for the tussle, and Sergio Pérez is also facing a demotion after his high-profile and controversial collision with Felipe Massa. The Austrian track will be new for many of the drivers this year, but a handful will have experience of the previous incarnation. None will know what it's like on the current crop of Pirelli tyres or with the new breed of cars, so it should be a new playing field for all. It's almost impossible to forecast what the weather will be like at the weekend in Austria, as changeable conditions are the name of the game. If we must pin down our expectations, it looks like there could be rain going into the weekend - perhaps affecting the key practice sessions. It should start to clear up as the hours count down towards the race, with the long range forecasts suggesting a cloudy qualifying leading to an overcast event. The new Red Bull Ring has had facility upgrades, but the track is fundamentally the same as the previous incarnation, the A1-Ring. Both pale in comparison to the Österreichring, the fearsome and lengthy original layout. 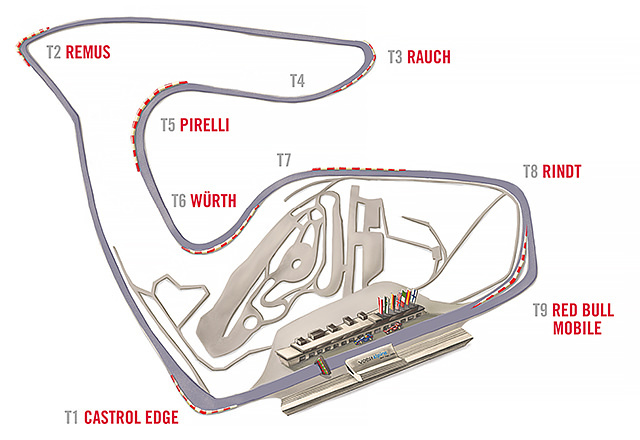 The revised lap has a simple format, ten quick turns across just over four kilometres. The home straight ends in a ninety degree right hander that may cause some problems on that first turn of the first lap of the first GP there in a decade. Although there isn't any modern data for the track, Williams have estimated plenty of statistics based on their simulations. The most startling is the chance of a safety car appearing during the race, which stands at more than 80%. Downforce levels are expected to be medium to high, whilst the level of cooling isn't going to be an issue - unless the changeable conditions take a turn upwards. In the seven F1 races held at the A1-Ring (in the same layout as the new Red Bull Ring), Ferrari and McLaren won two apiece, with Williams taking the inaugural victory. Pole position didn't appear to be as key as at other tracks, with only three of the seven polesitters going on to take victory. Of course, the circuit played host to one of the most controversial team order calls in the history of the sport, Ferrari's Michael Schumacher taking the win after Rubens Barrichello relinquished the lead to his teammate. Barrichello had started the race on pole position, so if nature had been allowed to take it's course, the statistic would be four of the seven polesitters turning the first grid spot into victory. 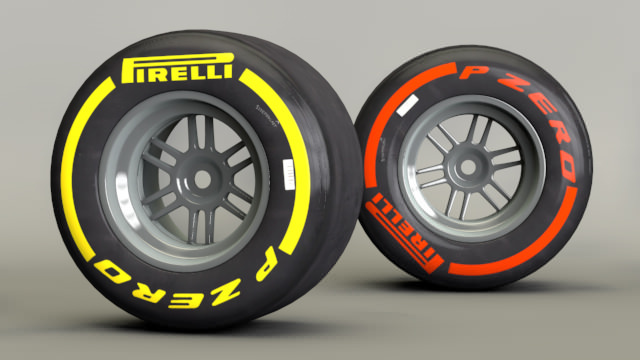 For tyre supplier Pirelli, going to a new track presents a tricky decision. The Italian manufacturer have run as many simulations and analysed the data as much as possible, but it's not until the cars hit the tarmac that we'll know how they've fared. For this weekend, they've opted for the two softest compounds - red and yellow sidewalls - in the hopes of creating opportunities for interesting strategies. Based on the asphalt samples and track inspections from our engineers, we believe that the two softest compounds in our range will deliver the best compromise between performance and grip on a circuit where the teams are expected to run high downforce. One interesting question mark will be the weather, which is well known for being unpredictable over the circuit.